*** PRIZEWINNER 2013 and 2016 ROYAL WELSH WINTER FAIR. We prepared some of our turkeys early to enter them into the Dressed Poultry Competition and in 2013 won a prize in a very strong class. In 2016 we were delighted to win the dressed turkey class, again ahead of many other turkeys. 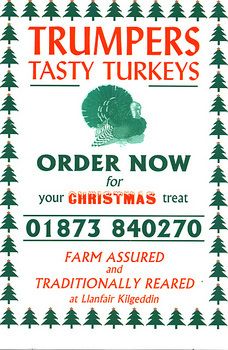 ORDER A LOCAL TURKEY-Made in Monmouthshire! Ring anytime-day,evening upto 10pm including weekends. 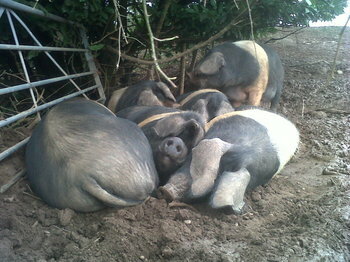 We are a family farm with mixed livestock, producing beef, lamb, outdoor reared, rare breed British Saddleback pork from our free range pedigree sows and 1200 traditionally reared farm fresh Christmas turkeys. 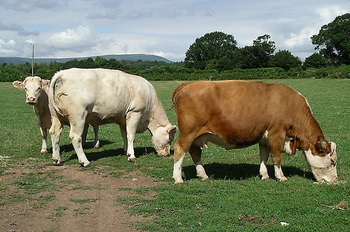 We are a member of FAWL (Farm Assured Welsh Livestock) ensuring our livestock is kept to the highest standards. 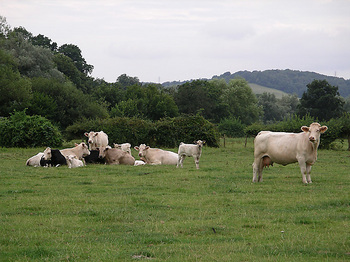 Although not classified as organic our family farm offers you extensively reared meat that has been grazed on the rich grassland of the Usk Valley, with minimal use of artificial fertiliser and sprays. 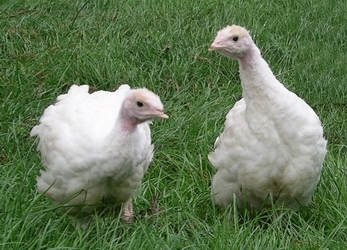 For over 30 years we have been rearing our turkeys in open-sided barns where they are free to roam and roost under natural conditions. The birds are processed on farm using family labour and are then hung for several days to enhance their flavour. They are then dressed by hand to oven ready standard and refrigerated awaiting collection by the customer for your celebration Christmas Dinner. 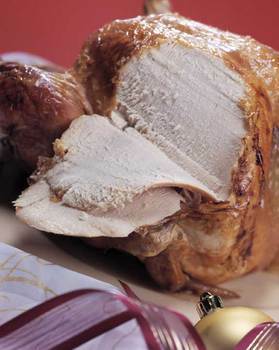 We are also able to produce turkeys for you prior to Christmas for an early Christmas family gathering or for Thanksgiving -just ring to discuss. 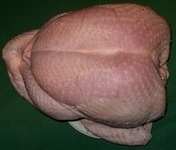 We are an Environmental Health approved premises producing birds ranging in weight from 10-30 lbs (4.5kg-14 kg). We sell direct to the consumer, to butchers, hotels and corporate and small businesses as employee gifts. Birds ordered direct from us can be collected from the farm on SATURDAY 22nd or SUNDAY 23rd December, from 8.30am to 6pm. 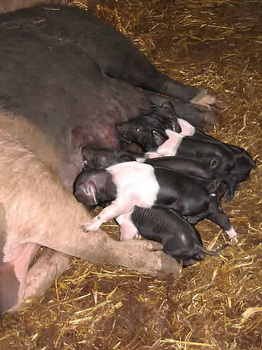 Our farming system aims to be Extensive and Environmentally Friendly.